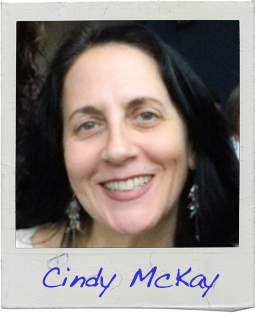 Cindy McKay never set out to be a writer. She’s a problem solver. To her, life is a series of knots that need to be untangled. There’s nothing Cindy loves more than a big fat knot—the bigger the better. Fortunately, her life is full of them. Cindy’s favorite way to untie knots is by writing stories and allowing her characters to work themselves free. They don’t always succeed, but the joy for her is in the trying. She’s never been content for longer than it has taken her to face the next glorious entanglement in her life, and discover the words that will unwind it. Cindy is a mother, a grandmother and a wife. If you wanted to, you could find her in a big old house in the East End of Pittsburgh, armed with a keyboard and a mouse, happily hacking away at the knots. Read the first page of Cindy’s story!